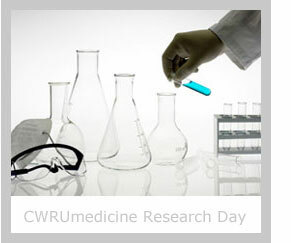 Research Day provides an opportunity for researchers in training at the Case Western Reserve University Department of Medicine to present their biomedical research in a public forum. This group includes trainees at all levels of programming, including graduate, undergraduate, medical and MD/PhD students, as well as postdoctoral fellows and researchers and clinical residents and fellows. Research Day also presents an opportunity for colleagues and visitors to learn about the cutting edge research occuring at Case Medical Center. With multiple posters representing a wide array of research topics are displayed throughout the day, with presenters on hand to discuss their projects and research findings with visitors and guests. Obstructive sleep apnea more than doubles the risk of stroke in men and also increases the danger in women, new research indicates. They were followed for about nine years, and during that time, 193 suffered strokes — 85 men out of 2,462 enrolled and 108 women out of 2,960.
theHeart.org | US researchers have pinpointed a genetic factor that affects diseases of both the heart and blood vessels and identified a molecular pathway shared between the two. They propose that a subset of human heart and vascular disease may be due to deficiency of this genetic factor, known as Krüppel-like factor 15 (Klf15), and that amending the pathway in some way could help ameliorate both diseases. Dr Saptarsi M Haldar (Case Western Reserve University, Cleveland, OH) and colleagues report their findings online April 7, 2010 in Science Translational Medicine. “Often, people think of cardiac disease and vascular disease as separate entities, but they often run together—for example, in Marfan’s syndrome or in aging, when there are degenerative changes to both the heart and blood vessels,” senior author Dr Mukesh K Jain (Case Western Reserve University) explained to heartwire. Some years ago, his research team identified the genetic factor Klf15 and showed that it was expressed in both the heart and aorta; they also demonstrated that in human tissue from patients with heart failure or aortic aneurysmal disease, the expression of Klf15 was markedly reduced. The new research is an attempt to identify a common molecular pathway for these effects that could represent a potential therapeutic target. “We hypothesized that maybe the absence of Klf15 or its relative deficiency might be unhealthy, so we generated mice to mimic this,” Jain explains. The mice, which were completely deficient in Klf15, were then stressed using angiotensin 2, and they developed heart failure and, “quite unusually,” aneurysms at the same time, he notes, “so we showed that both the heart and blood vessels of the mice were affected by deficiency of Klf15. “We then wondered whether there was a common molecular mechanism that might explain this shared pathology,” he continued. They went on to show that enhancement of the activity of p53—a protein most often associated with protection against cancer—appeared to be causing the adverse effects in the setting of Klf15 deficiency. Furthermore, they showed that Klf15 functions as a “molecular brake” on p53 function by inhibiting p53 acetylation, which is a critical “on” switch for this protein. These molecular effects were operative both in the Klf15-deficient mice and in human tissues from heart-failure patients, which were also found to be Klf15 deficient. “This now lends us the opportunity to try to identify a chemical compound that might either boost the activity of Klf15 or somehow block the acetylation of p53, which might help ameliorate diseases affecting both the heart and blood vessels,” Jain noted. As well as aging and Marfan’s syndrome, this includes peripartum cardiomyopathy and in particular a subset of women who develop aortic dilatation as well as heart failure in the setting of pregnancy, he explained. The discovery of new molecular pathways that are amenable to therapeutic manipulation is of immense clinical value,” he says, adding that research into compounds targeting Klf15 or p53 is already under way. Researchers have already demonstrated that a compound called curcumin, the active constituent of the spice turmeric that is often used in Asian cooking, is able to block the acetylation of p53, and they are actively trying to identify other compounds that could enhance the expression of Klf15. Drawz SM, Bethel CR, Doppalapudi VR,Hujer AM, Skalweit MJ, Anderson VE, Chen SG, Buynak JD, Bonomo RA. We have over 250 full time faculty, 120 medical housestaff, 80 fellows and 400 support staff working at the CWRU School of Medicine, University Hospitals Case Medical Center and the Cleveland VA Medical Center Wade Park Campus. We are proud of our premier, extramurally funded research programs, our delivery of high-quality, cost-effective patient care at University Hospitals (ranked as a Top Ten Health Care System by Thompson Reuters) and our VA Hospital (ranked first in the entire VA system for Health Care Delivery Measures). We are also deeply committed to medical student, graduate student and post graduate training. Our faculty, trainees and staff are committed to the highest standard of excellence in all of our activities in a collegial, integrated and interactive work environment. Which social tool do you use? It doesn’t take much effort to see the impact social media is having on almost every avenue of our lives, both professionally and personally. Tools such as LinkedIn, Twitter and Facebook, just to name a few, are changing the way and frequency in which we communicate. It should be no surprise, then, that even Healthcare would find itself impacted by the influence and immediacy that social media provides. We value your opinion and want to know what tools you use to stay up with the latest news and information. Give us your thoughts. Take our poll on social media in healthcare, and let us know what tool(s) you use. We explored the association of antibiotic-resistant phenotypes and genotypes in Acinetobacter spp with clinical outcomes and characteristics in 75 patients from a major military treatment facility. Amikacin resistance was associated with nosocomial acquisition of A baumannii, and carbapenem resistance and bla(OXA-23) were associated with the need for mechanical ventilation. The presence of bla(OXA-23) also correlated with longer hospital and ICU stay. Associations between bla(OXA-23) and complexity, duration, and changes made to antibiotic regimens also existed. Copyright 2010.